Mercenaries, in IronSight Patxh Update IronWork. HQ has sent us a new mission briefing. We are sending you all on your next assignment. They’ve also appointed a bunch of renowned mercenaries to give you a hand. The guys from R&D also told me that shipments of brand new gear, supplies and drones will be sent to help you ladies on the field. So buckle up and make sure to read the full brief attached! We are proud to announce the newest content update on Ironsight: Ironwork! You will find below all the new changes and additions coming to the game with this patch! A strategic steel factory funded by the West located in the Caucasus region in Georgia. EDEN took control of the facility when the Western nations' control was loosened after the Tsunami. NAF is now sending its forces to take back control of the factory. ●	Includes Emblem and Title. ●	Modes: TDM / SnD / RT / SP / FFA. This former KSK officer is a legend among his peers due to his combat skills and for his unique origin: He is a clone. Victor is the product of the soldier cloning project led by the military. Deploys and energy shield providing partial frontal cover when installed. Its high damage absorption makes it difficult to destroy with small arms. ●	1400 points to deploy. ●	Bullets cannot go through, but will damage the drone until it’s destroyed. ●	Lethal / Tactical equipment cannot go through. ●	While re-deploying the shield is not active. ●	Can be destroyed if shooting at the drone body. ●	EMP equipments (launcher and grenades) are more effective against it. ●	The back side of the drone is more vulnerable to damages. ●	Only in the game mode: Custom match. ●	No team, every player for themselves. ●	Respawn is at random / furthest from other players. ●	On a tie, the player who scored last wins the match. ●	UI displays your score on top as well as the score of the player in first place. ●	If you are in first place, UI also displays the score of the 2nd best player. ●	Scoreboard shows all players as a list, as well as the gap in kill score between you and the player in first place (If you’re in first place, it displays the gap from the second). ●	Pincer Dance - A bizarre dance move out of this world. ●	Thumbs-up - Neil Wild, when 19, gifted this to his girlfriend. To this day, he is still single. ●	Available in the Shop, a Gold box can be claimed for free. ●	Up to 3 boxes per day can be claimed (Reset at 1am CET). ●	1 box can be opened every 20 minutes. ●	When a free box is available to claim, the shop icon has a red dot notification. ●	Available in the Shop, a CHIP box can be claimed for free. ●	1 box can be claimed and opened every 48 hours. Before we dive into all the feature updates and bug fixes, we want to take the time to thank our community for reporting issues and bugs on our forums. Your reports have truly helped us and resulted in several of the bug fixes mentioned below. Please keep them coming and help us detect issues/bugs by reporting them using the fill-out form on our forums [LINK]. You all contributed to improving the game! Thank you! ●	Server stabilization has been improved. ●	Matching server has been improved. The users will now be matched by ping (for regular matchmaking). ○	Appears automatically on the first time opening Loadout and Primary Weapons. ○	Can be seen again clicking on the (question) icon. ○	After reaching the skin selection phase, going back to the weapon list scrolls down to have the previously selected weapon on top of the list. ○	Video shows reload animation instead of stats. ○	Hovering over the video activates the sound. ○	Added attachments unlockable when certain Rare weapons are owned. ○	'Epic' rarity attachments can only be equipped in the weapon that unlocked it. ○	‘Pietro Silencer’ unlocked when owning the Pietro Vector. ○	‘Overlab Clear Sight’ unlocked when owning the Overlab K2C. ●	Timer displayed on periodic items in the Loadout menu. ○	Small indicator of the time remaining (DD / HH) in the overview. ○	‘Event’ section replacing 'Recently Completed' section on the Home Menu. ○	When no Event is running, it will show a proper message. ○	Upon clicking on it, it will open the Event achievement menu and show progress. ○	Event tab in the achievements menu added. ○	Users should now get their ranked points diminished when not playing Ranked. ●	Ranking Menu - Fixed the Upper Ranking tab. ●	Ranking Menu - Fixed the search function. ●	Collecting system - Fixed an issue where players were not able to unequip Attachments / Clothes. You can now select the “none” option to unequip the current attachment. ●	Collecting System - Fixed an issue where players could own Primary or Secondary Weapons (Repairable) twice. Duplicated weapons will be sold automatically upon first login after the patch. ●	Clans - Fixed an issue with the French localization causing a game crash when opening the Clans’ Tab. ●	Tutorial Mission (PVE) - Activating the elevator no longer teleports the player. ●	Weapon - The Celebration SVD default scope attachment does not disappear when another scope is equipped. ●	Character - The Emote menu sometimes displays the weapon list. ●	Items - The Change Callsign item shows a wrong error message on the top of the screen (referring to a clan name) when the callsign choice contains a forbidden word. ●	Messenger - Pressing the “Enter” key while in the “Search” field also enables to type in the chat box at the same time. 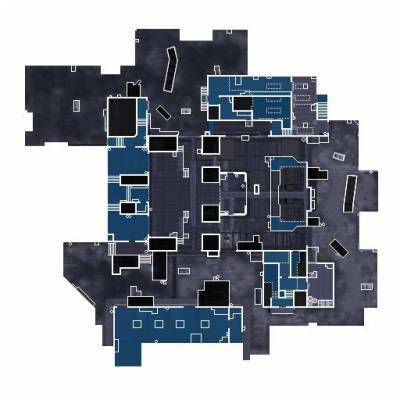 ●	Match - If two players die and respawn at the same time and location, one of them will appear clipping partly in the floor until one of the two players respawn. ●	Ranked - In normal conditions, players cannot play ranked matches in a party. But if a party invitation is sent from player A to player B, both can start the ranked queue and B can then accept the invitation from A (even though party invite shouldn’t work in ranked). Accepting a Party invitation while queuing for a ranked match with this technique blocks the matchmaking for all players queuing for that same room.